IF you're looking to make sure your food packaging is easier for the consumer to recycle, but don't know where to start, you're in the right place... Sirane can help. 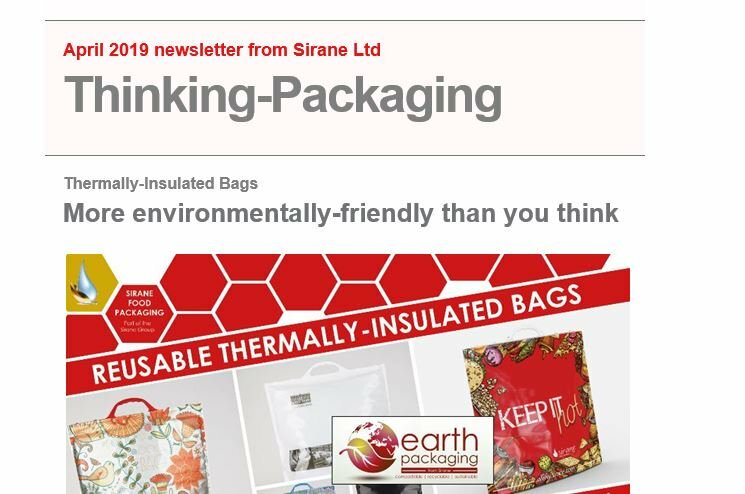 Sirane's Earth Packaging solutions can really help you boost your green credentials, and we have many products suitable for replacing difficult to recycle plastics with a more environmentally-friendly solution. We have access to many different materials, and the expertise to advise on what will work and what won't, and to develop the product you need if it's not currently on offer. Recyclable or easily recycable, there's a big difference. Sirane can help you achieve your target, and work with you to make sure the packaging's exactly what you - and the environment - needs. For example, there’s the Earthpouch – an industry first. Earthpouch is a food packaging solution made from a paper with a 100% plastic free heat-sealable coating which is then formed into a preformed stand-up pouch which provides total food security for dry and moist food products. This pouch is easy to recycle - it goes in with the paper stream - so ticks all the environmental-friendly boxes going! There's standard and barrier version available, and a high barrier version on the way. We can also supply Earthfilm, the same material but in reel form for use on a flow-wrap machine. And don’t forget, Sirane is - and always will be - a development company; Earth Packaging is constantly evolving. Get in touch, we’re experts in material science, so if you're looking for an alternative to plastics, and to make sure your packaging can be easily recycled, we can probably help... to contact us, either fill out the form below and we'll contact you, or call +44 1952 230055. À quelle division êtes-vous intéressé?